Rosewood neck and resonator. 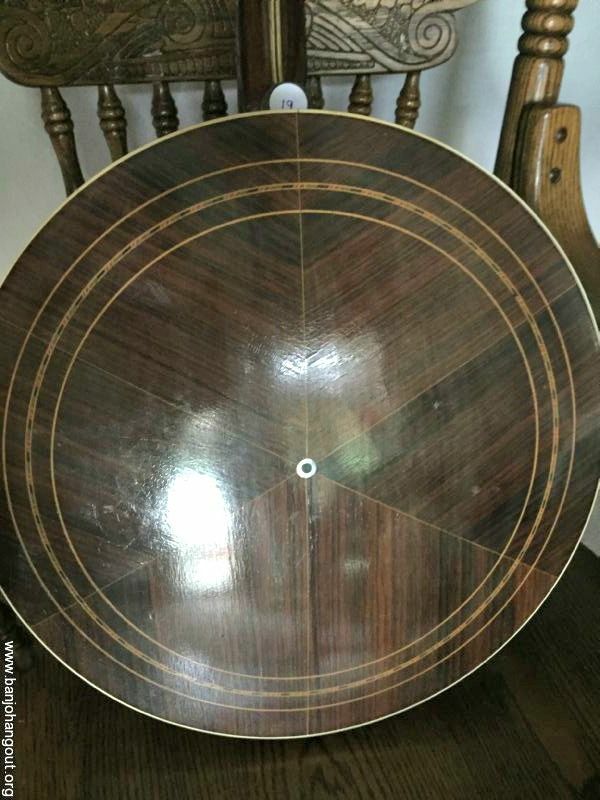 Real nice inlay in neck and peghead. 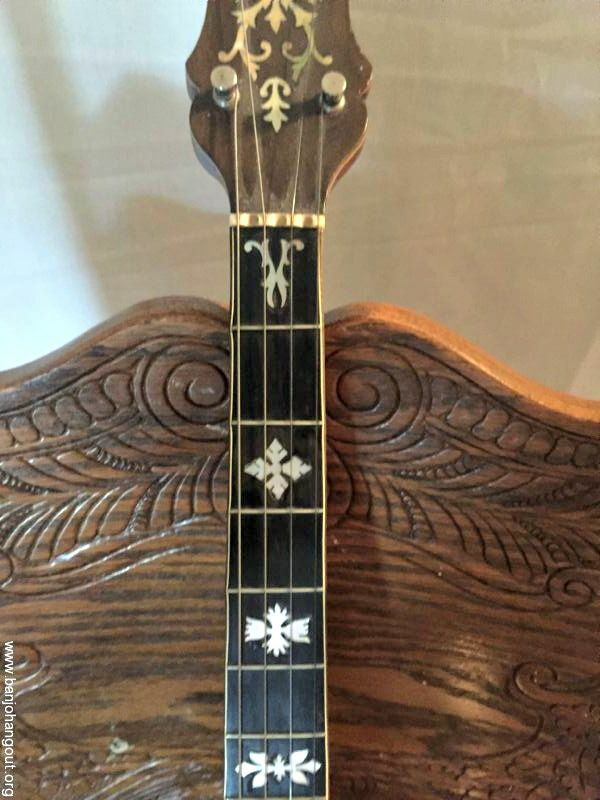 Nice marquetry on resonator and wood on neck. 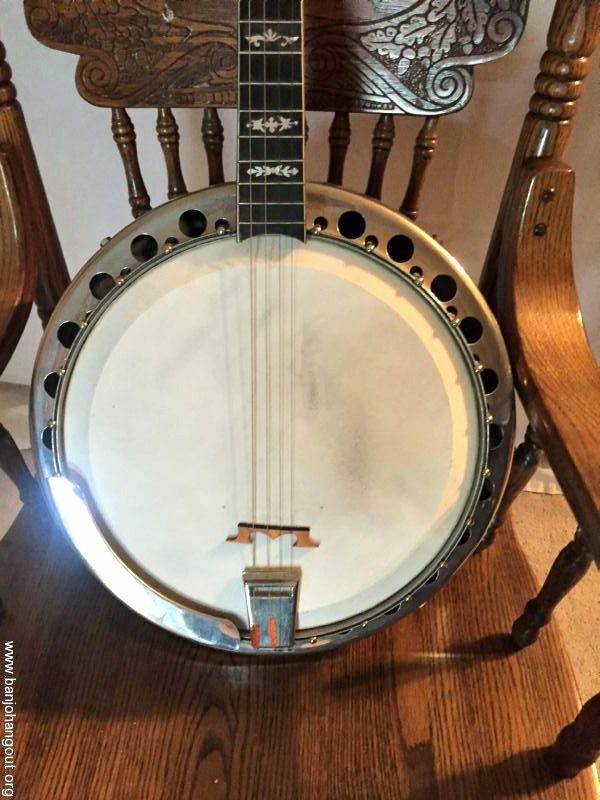 Very nice banjo. 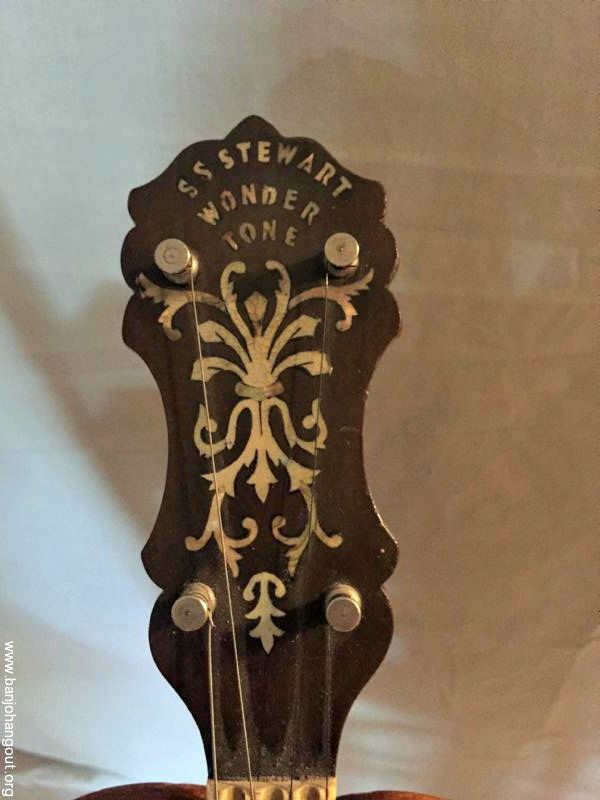 SS Stewart Wondertone in peghead. Pie type back on resonator, very heavy. very nice example of a very old banjo in nice condition. most likely early 1920's. Pay pal with buyer paying pay pal charge.